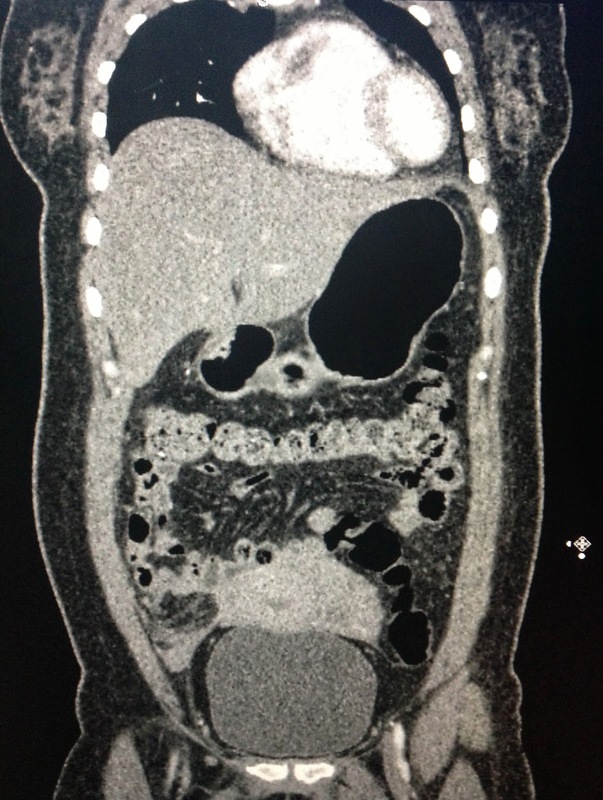 Woman 31yo 3 days ago epigastric pain. 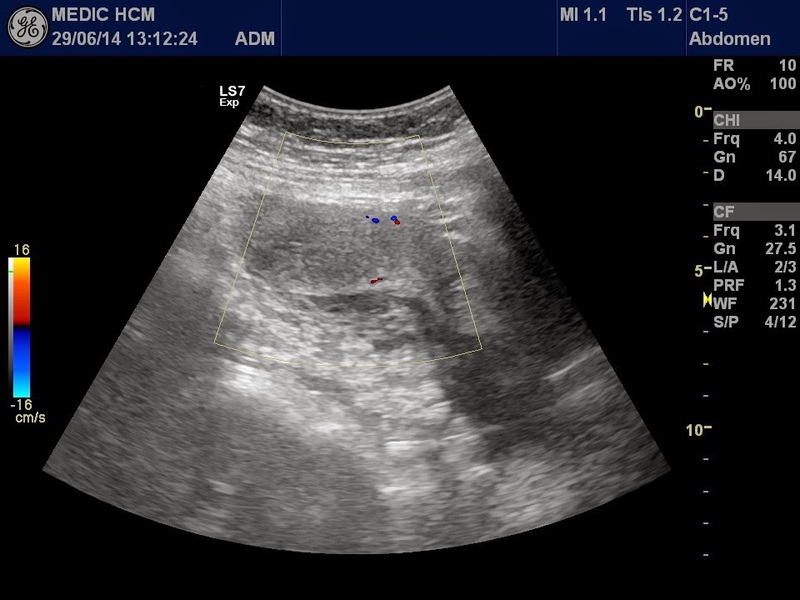 She came to MEDIC for gastroscopy and result was gastritis, but ultrasound of abdomen detected free fluid of ascites around border of liver and small stone in gallbladder (see ultrasound images). 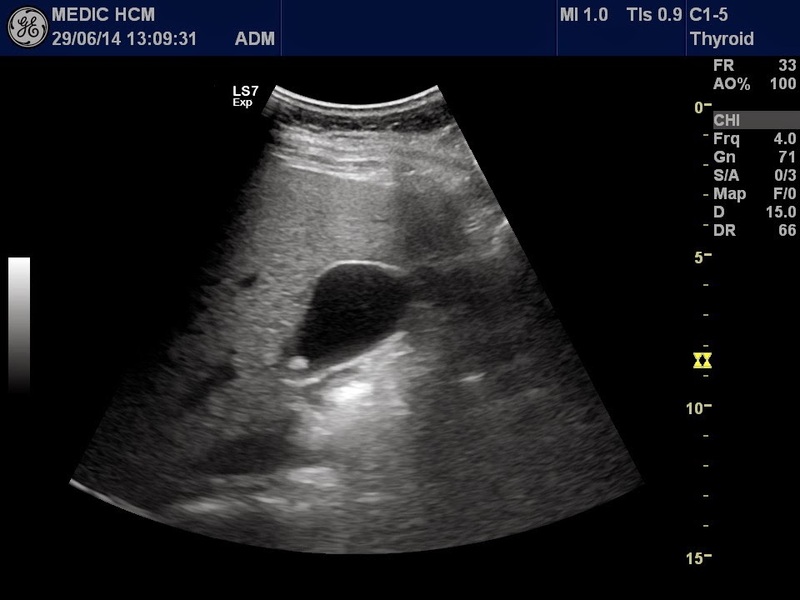 Liver was normal, and ultrasound at pelvis detected one mass on the left side of uterus, round, 5cm diameter, solid mass with small vessel inside and RI low ( see ultrasound images). Sonologist susgested an ovary tumor in rupture. 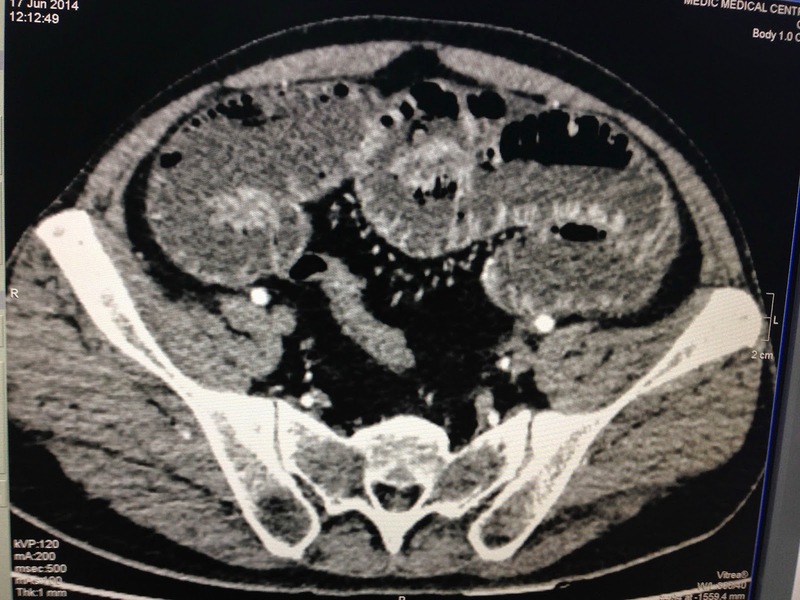 MSCT with CE of this mass on left lateral of uterus...with CE enhance like a nidus of pregnancy in rupture with a lot of blood clots in abdomen ( see 3 CT pictures). WBC 15K with neutro 75%, Hct 29%. 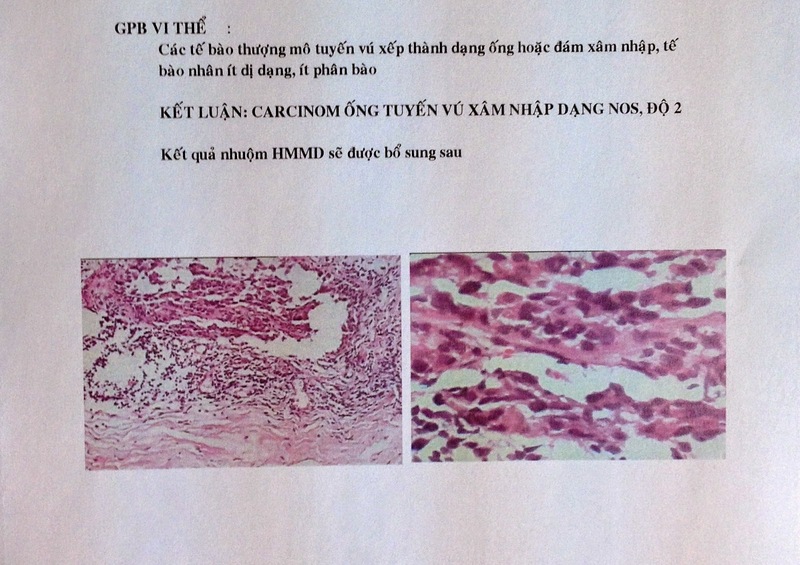 Emergency operation in BINH DAN hospital detected hemoperitoneum due to rupture of tubal pregnancy (photo). 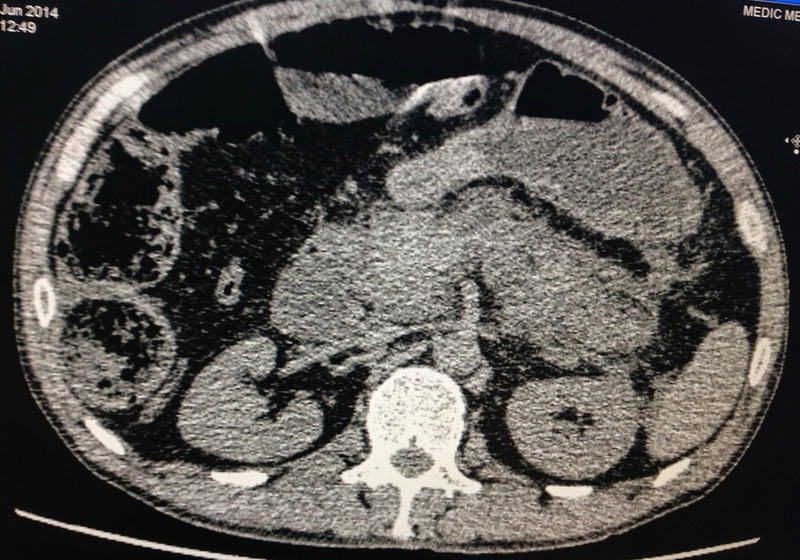 Epigastric pain is a common indication to gastroscopy that was not available for this case. 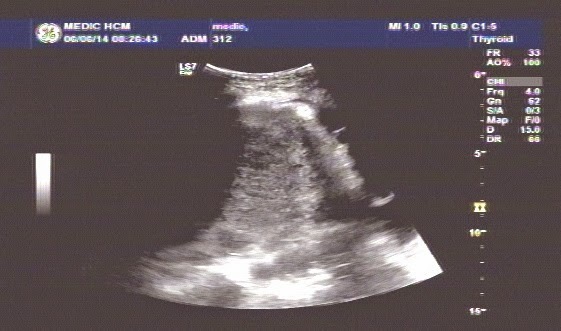 ULTRASOUND of ABDOMEN MUST BE FIRST CHOICE for CASE. BLOOD TEST CA-125 RISING NO MEANING TO OVARY CANCER. 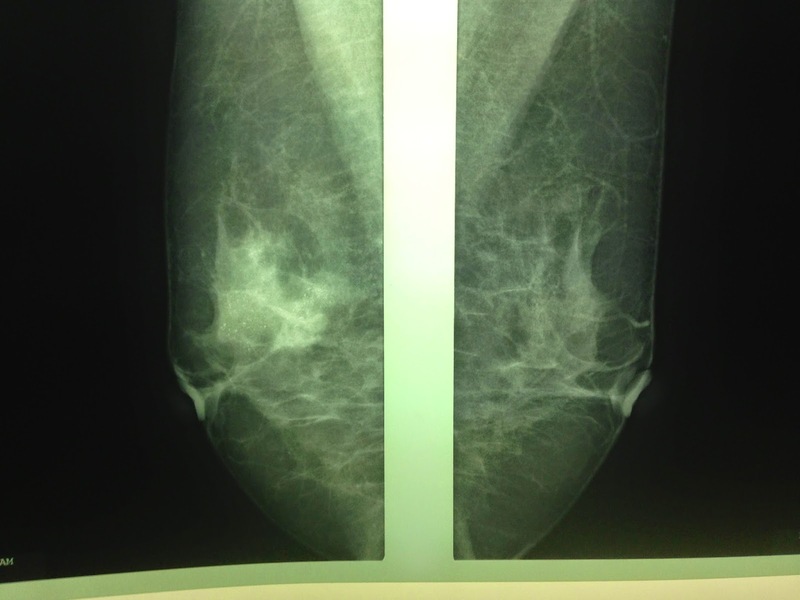 Beta HCG was most sensitive for diagnosis of this case. 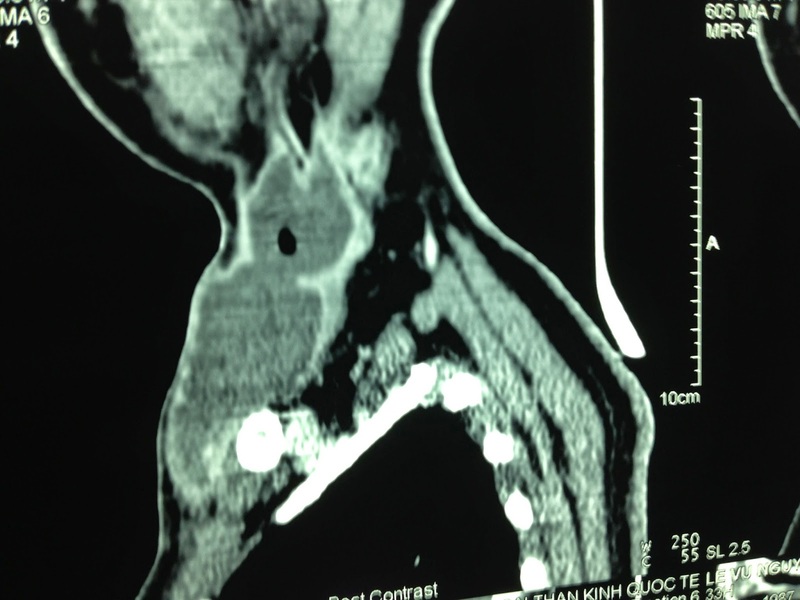 Man 27 yo, dental pain on right mandibular for one week, he detected the right side of neck along SCM muscle getting hot and swelling, pain and fever (see photo). He was treated with antibiotics and went to ultrasound scanning. 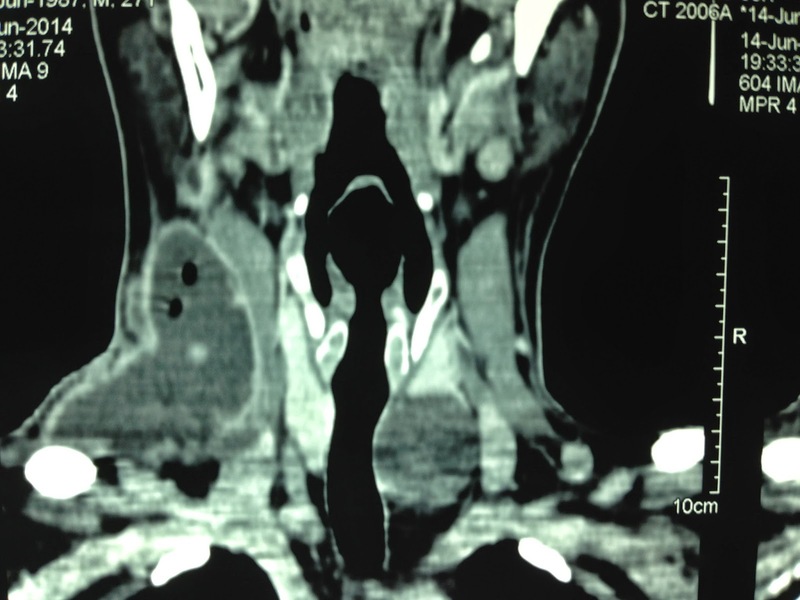 Sonologist detected this neck mass beeing like abscess by fluid collection on right and left neck (see 3 photo and video). 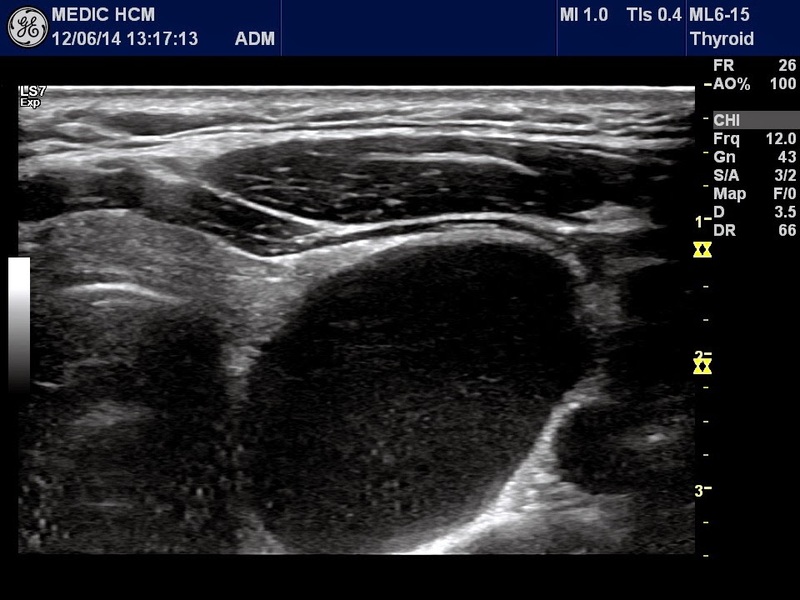 MSCT found out the right mass along SCM muscle and one other mass on left side nearby thyroid gland. Puncture this mass removed the pus but direct examination with gram stain no bacteria. 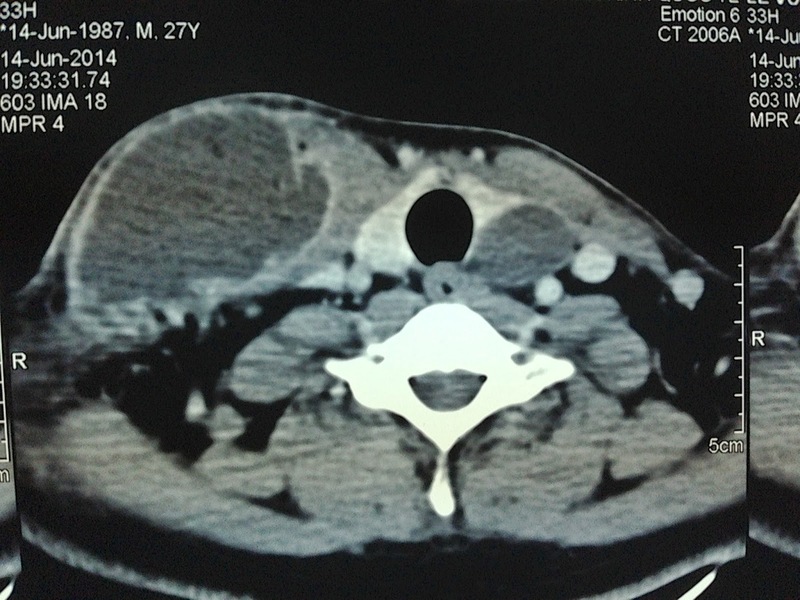 DISCUSSION: IT IS A CYST of INFECTION at LATERAL SITE OF THE NECK. 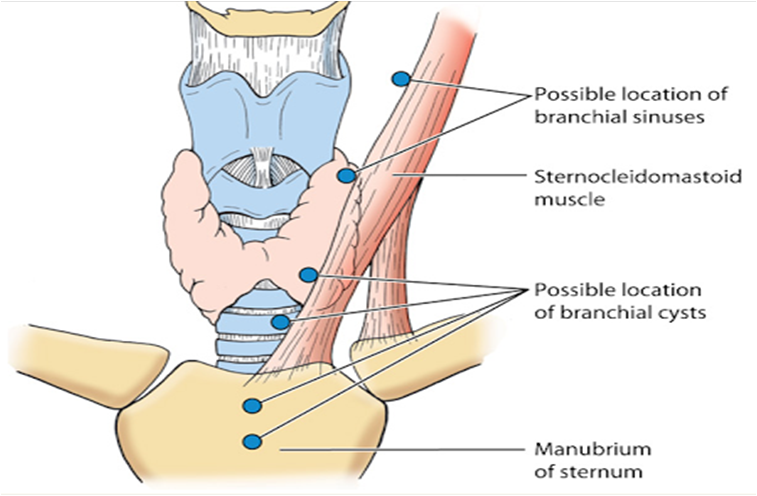 THE MOST COMMON IS BRANCHIAL CYST. 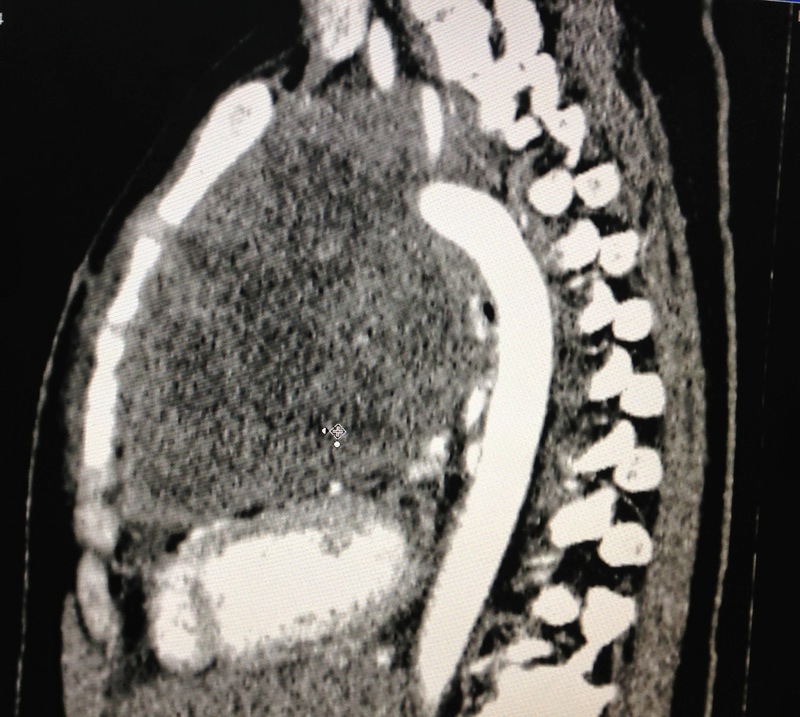 CT ALSO SUPPORTED THIS DIAGNOSIS. 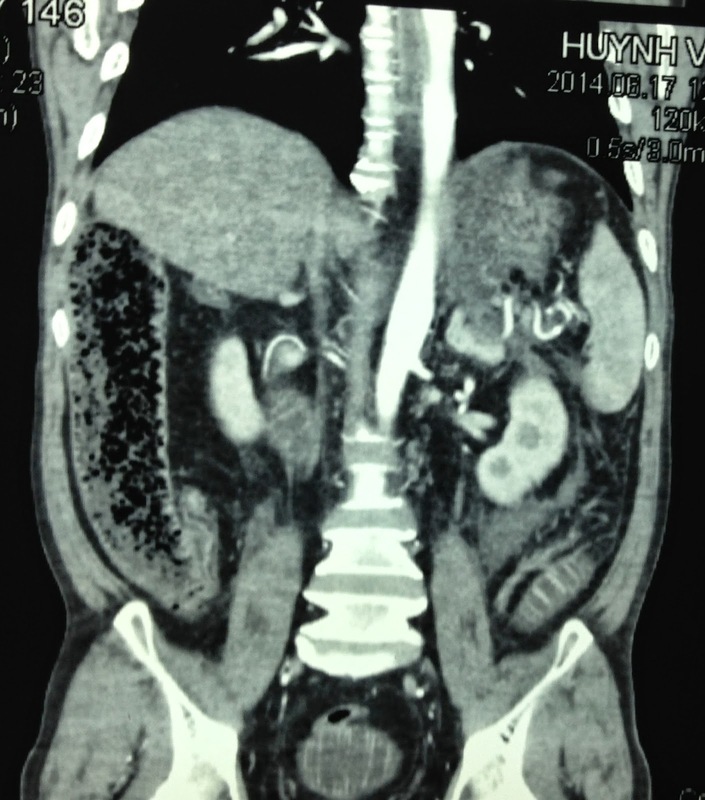 Man 50 yo, one week ago, onset periumbilical pain and abdominal distension, no defecation nor fever. 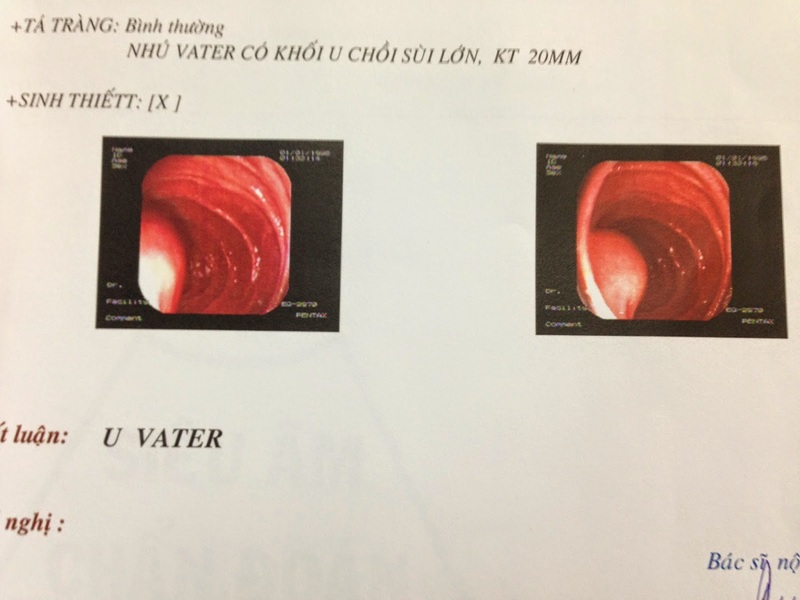 Chest Xray, and abdomen standing plain film showed the water-air level in intestine, suggesting bowel obstruction. 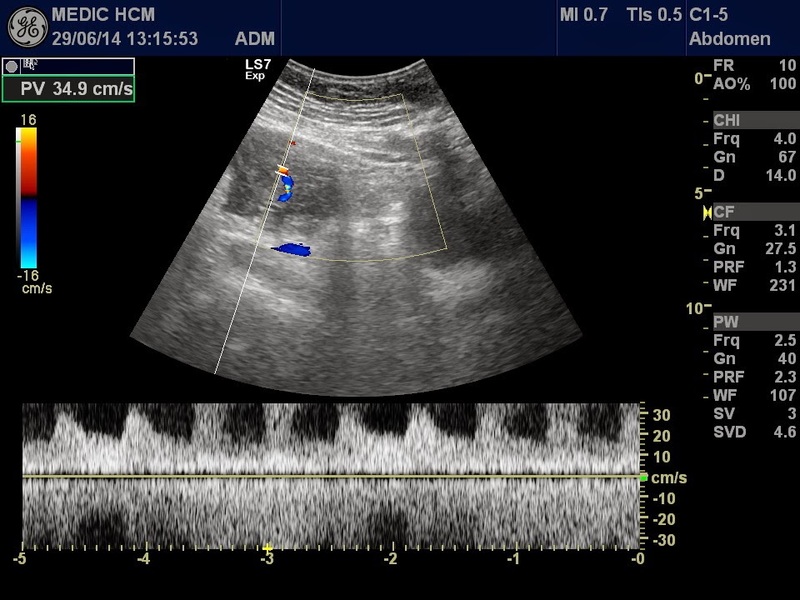 Ultrasound found out colon dilatation, filling water and moving circular around with hyperperistalsis (see video). 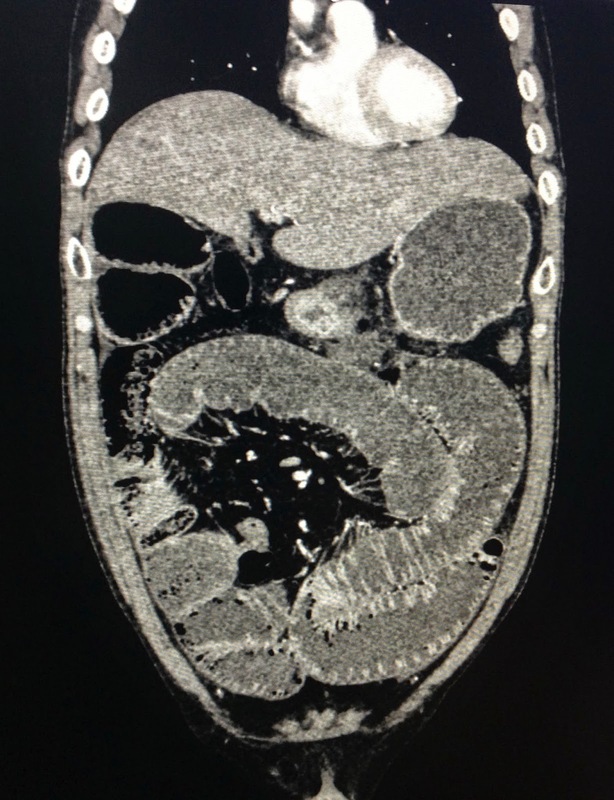 MSCT of abdomen in emergency detected dilated right colon and small intestine, retroperitoneum edema arround the pancreas and radiologist suggested that pancreatitis. Blood test: WBC rising 12k, amylasemia normal. 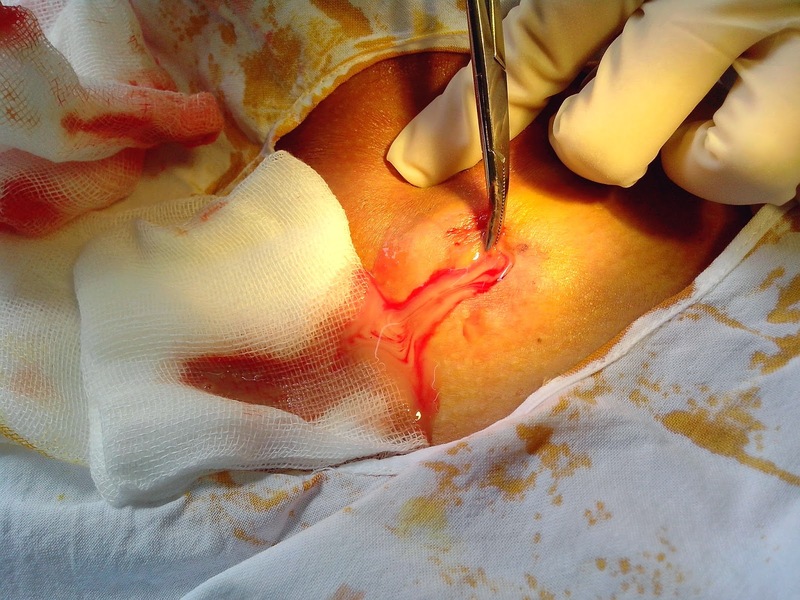 Operation laparotomy detected all bowel in dilatation but no necrosis, no tumor obstruction. 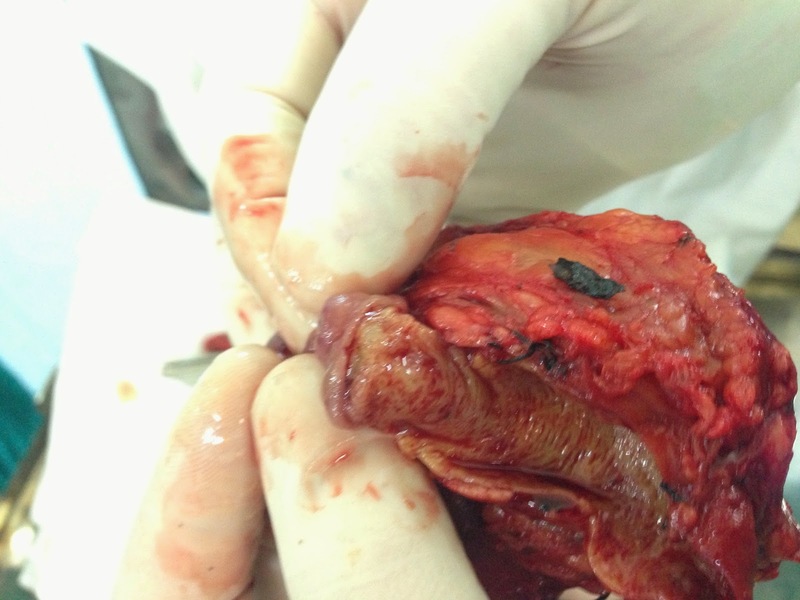 Many white spots like candle intra peritoneum. 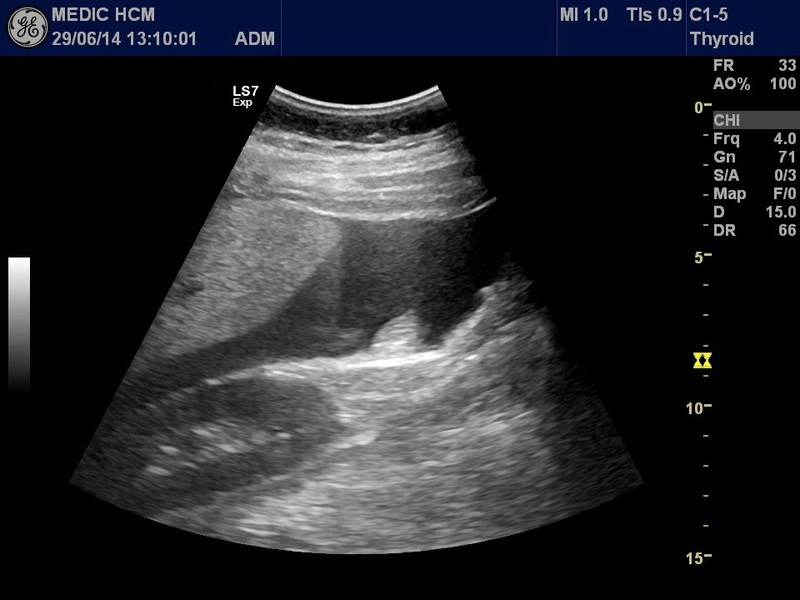 Retroperitoneal space edema. 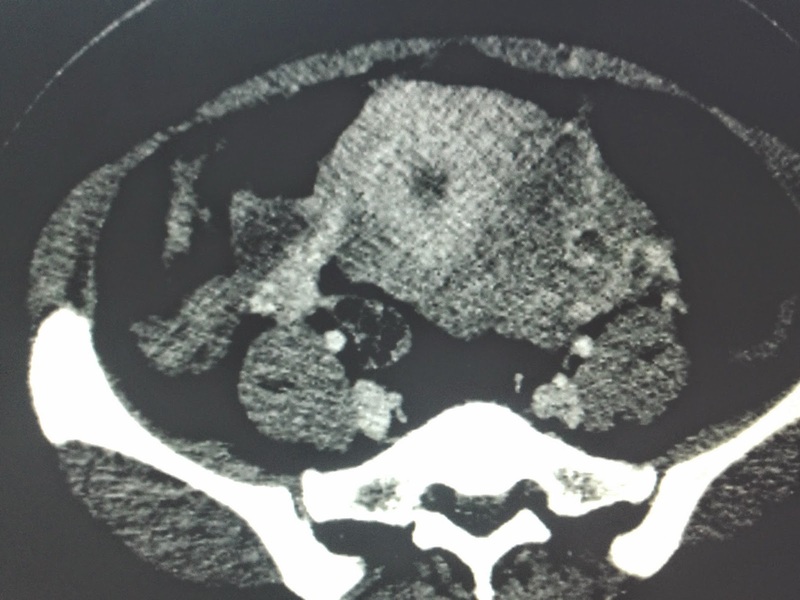 Surgeon said chronic pancreatitis. 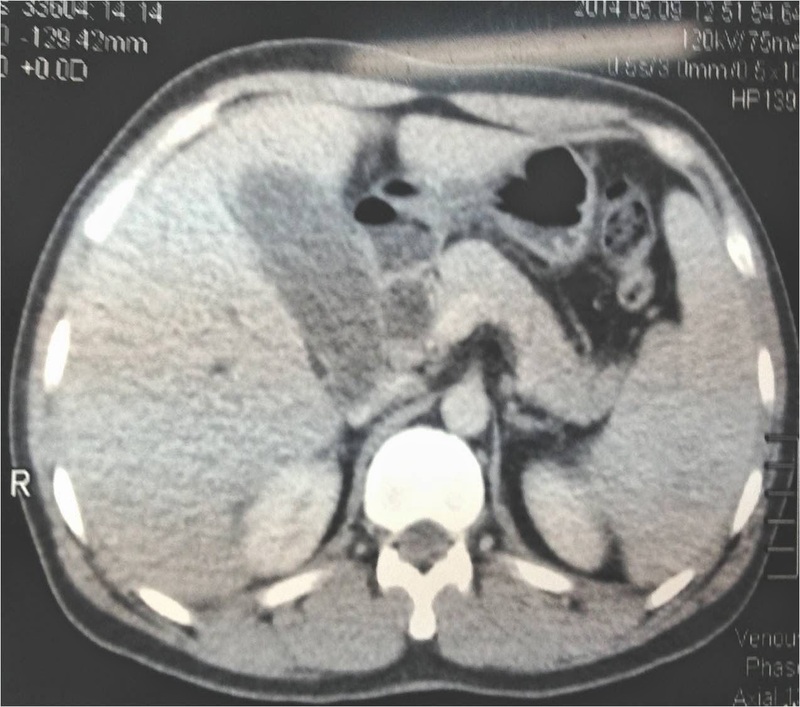 Discussion of this case: clinical findings were abdominal pain and distension for one week. 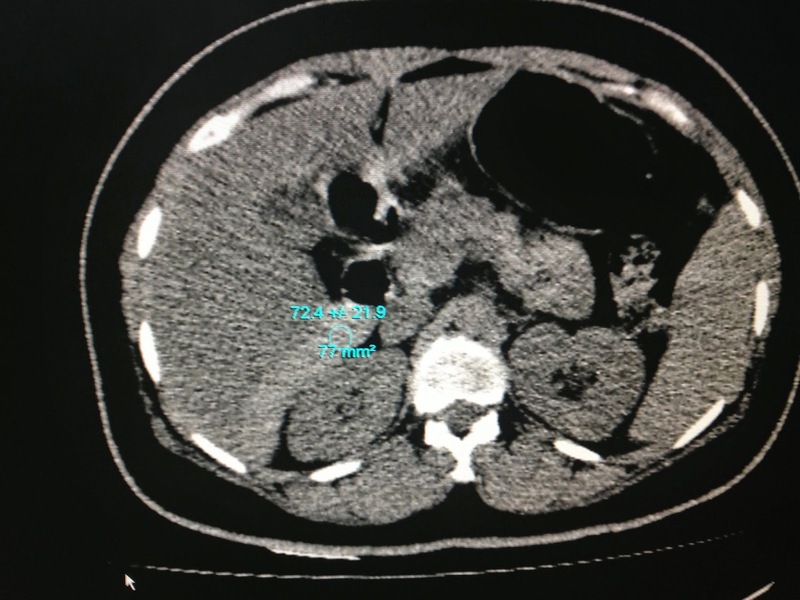 XRay and ultrasound found out bowel obstruction and CT detected pancreatitis, but blood test amylasemia was 17 unit. 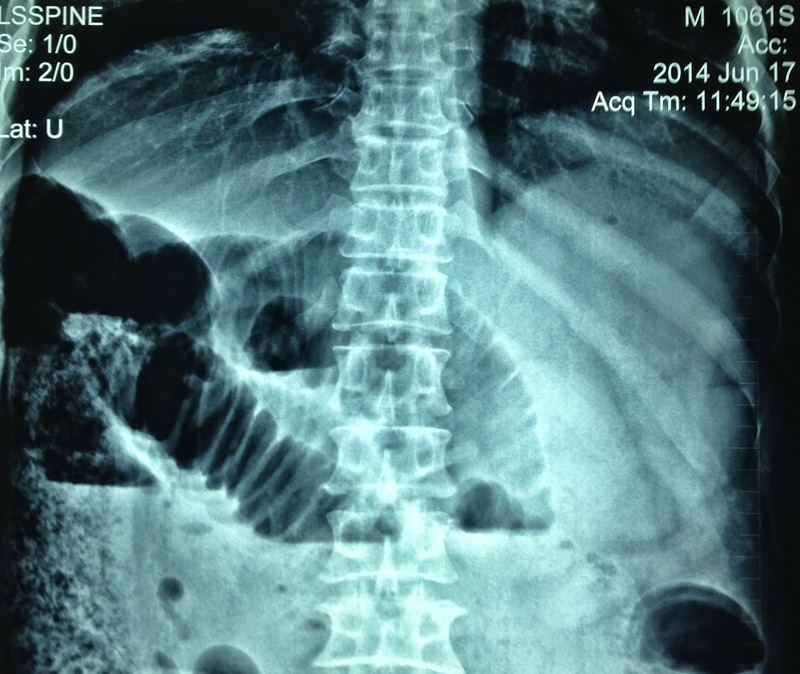 Surgeon decided operation by bowel obstruction. 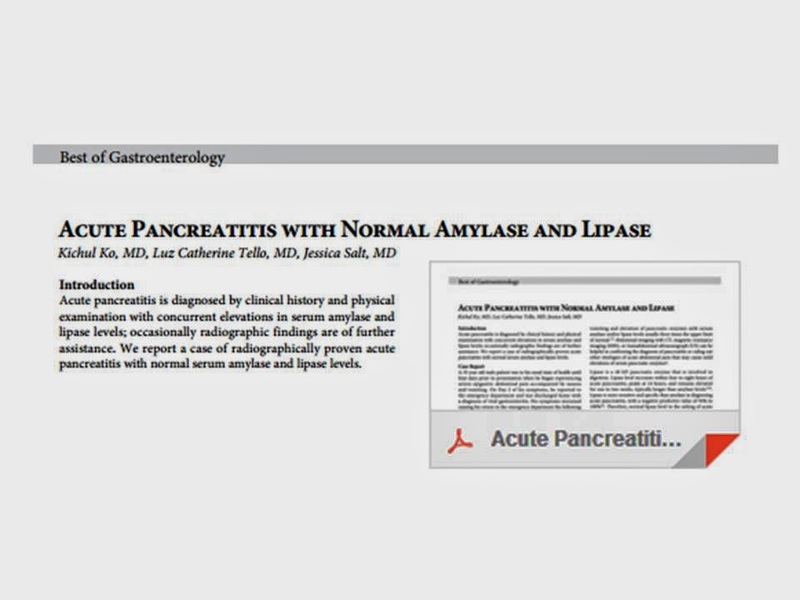 Now report is chronic pancreatitis, it is a rare case with normal amylasemia in acute pancreatitis. 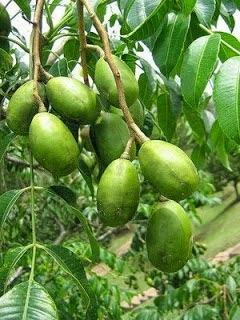 Woman 47 yo, she herself detected at the right breast one mass, slow growth, painless like one AMBARELLA fruit. 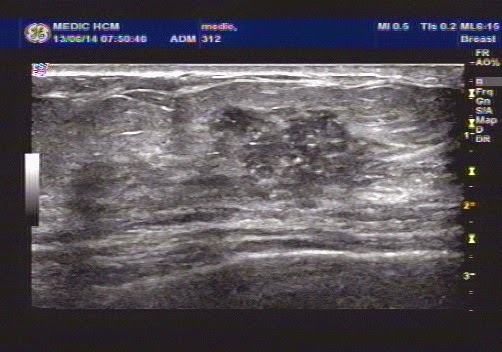 Ultrasound first detected this mass in size of 4 cm, at 10 am clock at the right breast, with many white spots as calcification. 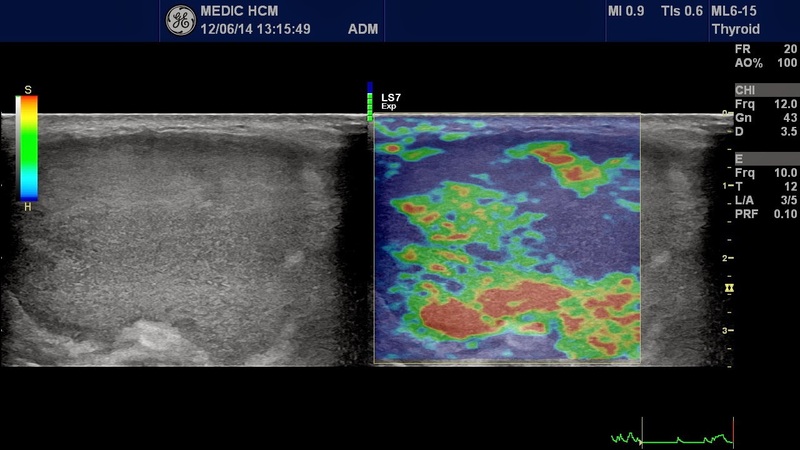 Color Doppler finding also was a hypovascular mass. 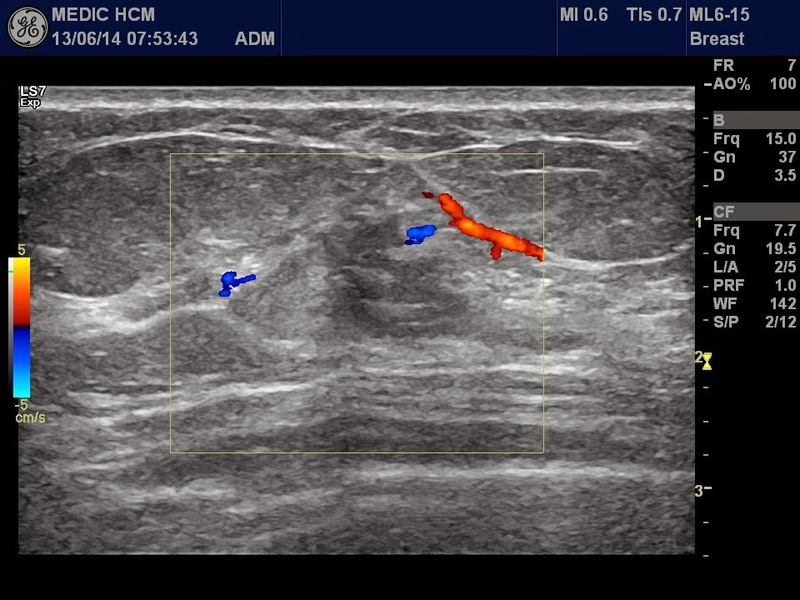 Using elastoultrasound, the mass was very hard, scale blue green color on elastogram, no detected axillary lymph nodes. 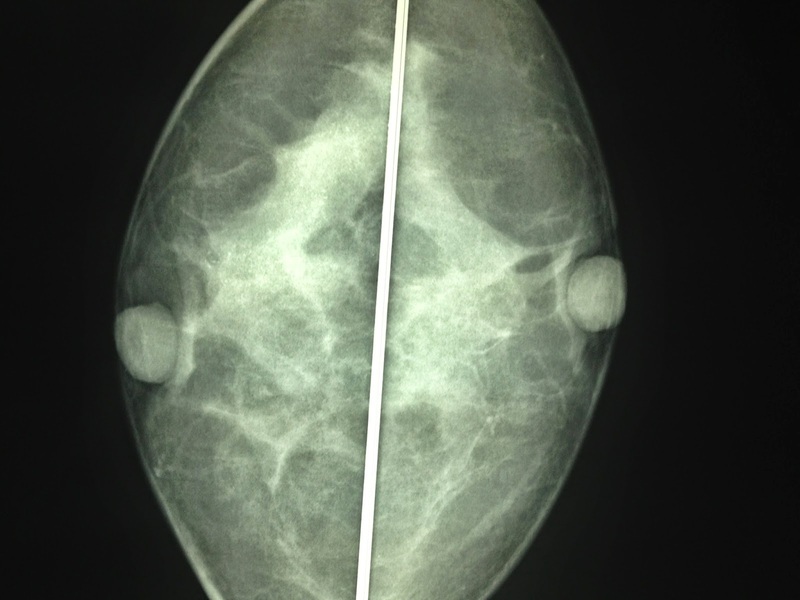 Mammography also detected mass and microcalcification. 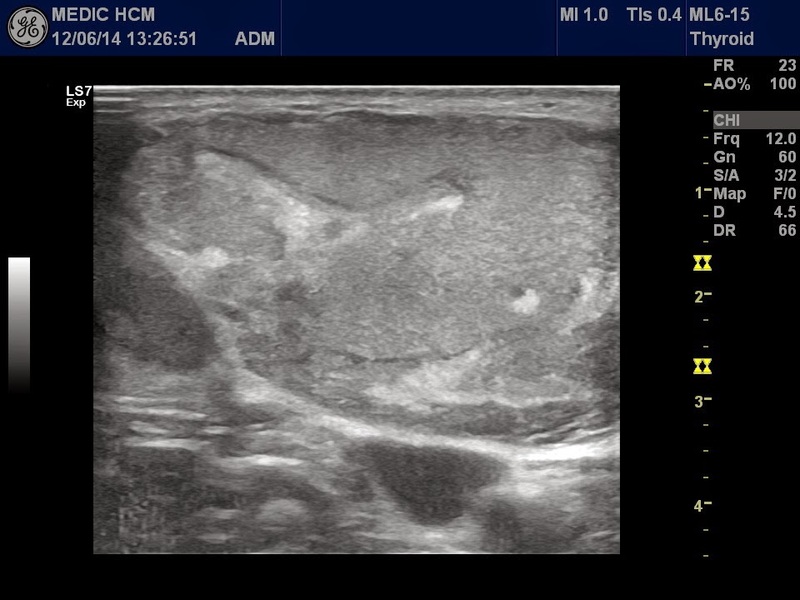 Core biopsy with ultrasound guided reports microscopic INTRADUCTAL CARCINOMA, STAGING T2N0MX. 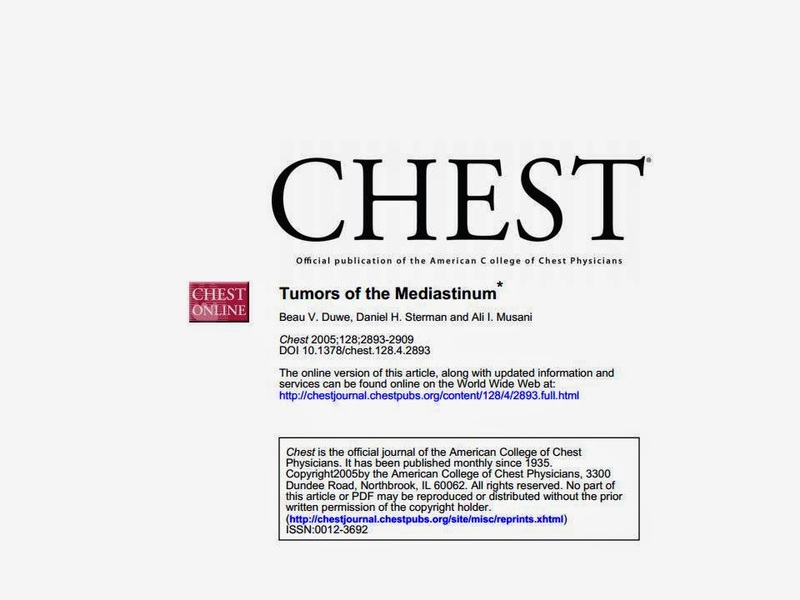 SUMMARY: BREAST CANCER IS EASY DIAGNOSED BY ULTRASOUND WITH ELASTOSCAN of THIS VERY HARD TUMOR LIKE GREEN AMBARELLA FRUIT. 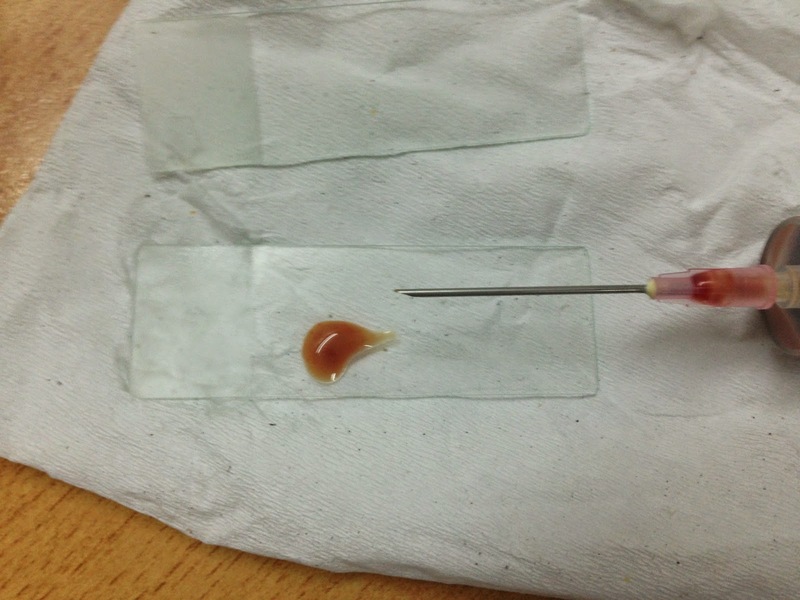 Man 40 yo pain at RUQ with dark urine. 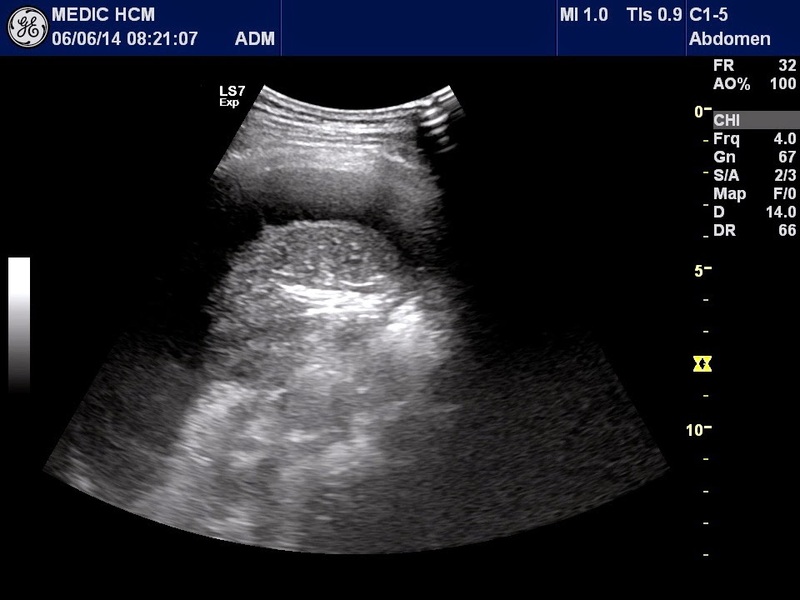 Ultrasound first detected big gallbladder with very think wall, no stone, CBD in dilatation just to end of CBD, no tumor of pancreas (2 ultrasound images). 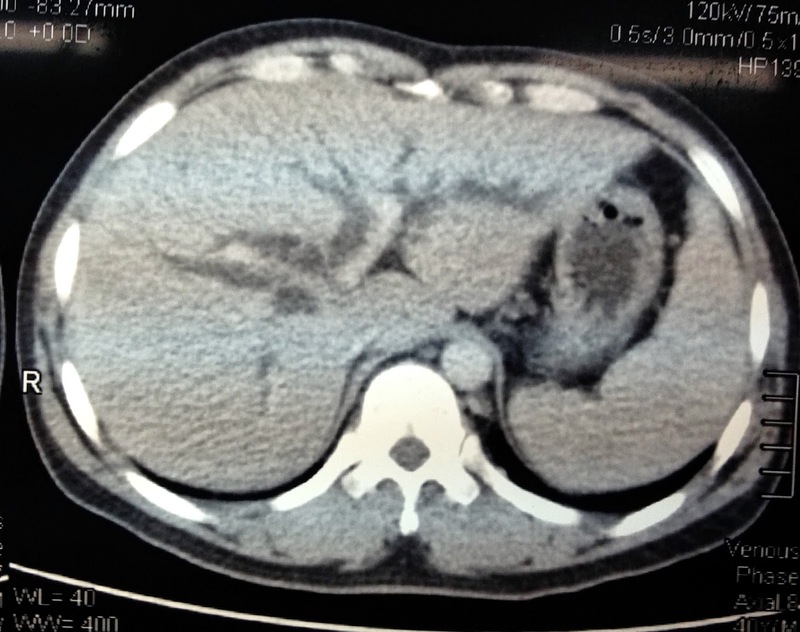 MSCT CE detected dilated biliary system intra and extrahepatic ( 3 CT images). 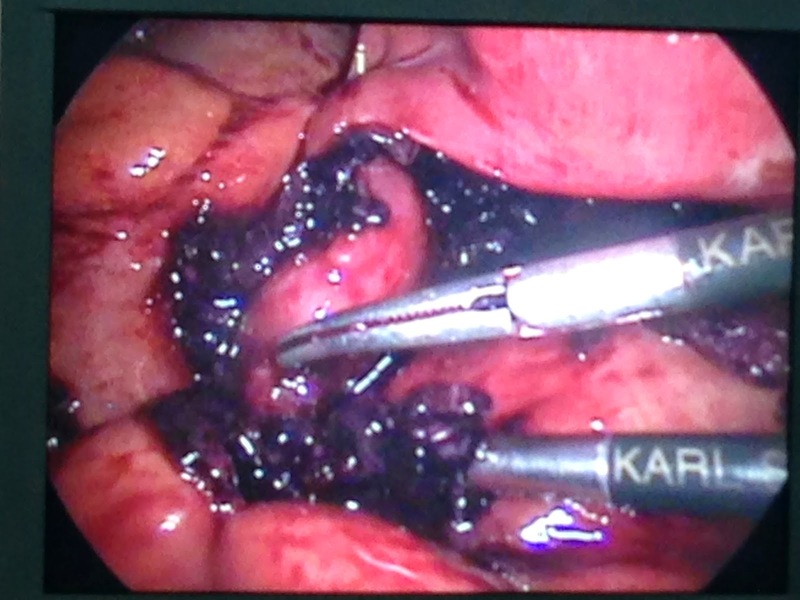 Gastro-duodenal endoscopy found out a round tumor at Oddi area (see photo), biopsy was done. Blood tests, CEA, CA-19-9 were normal. What is your suggestion for diagnosis and your next step ? 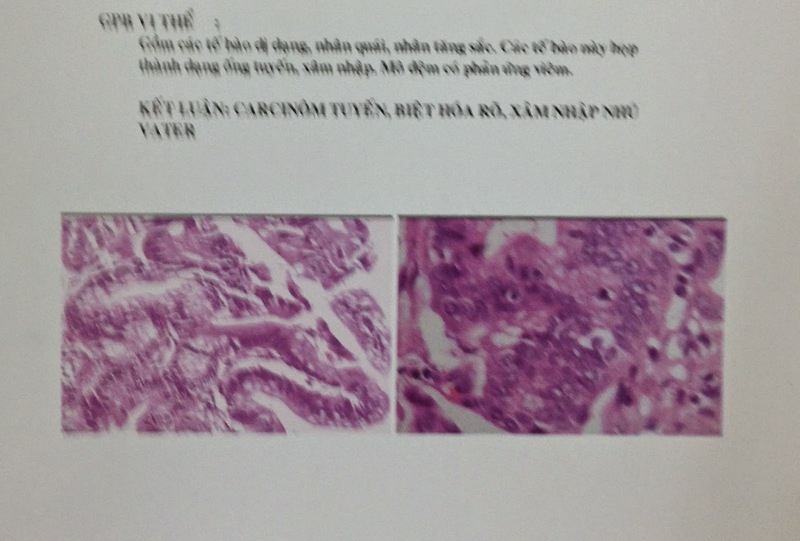 Biopsy of the tumor but the microscopic result was negative. 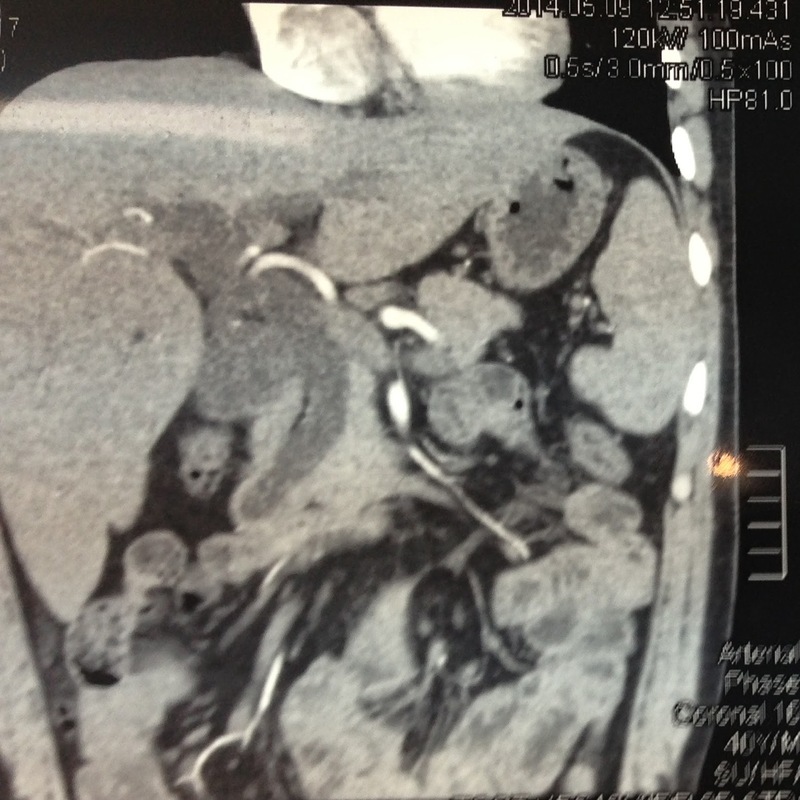 Ooen operation for exploration, surgeon detected a hard massat the head of pancreas. 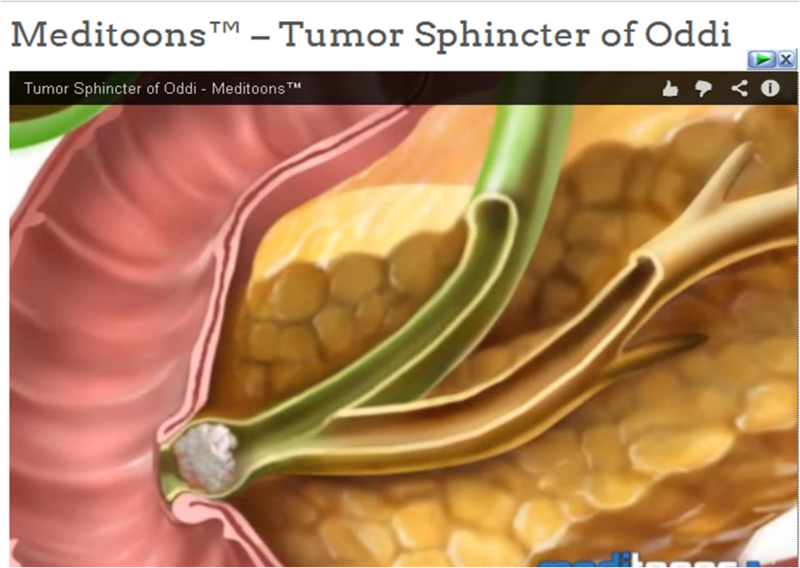 Whipple operation was performed (specimen of tumor of Oddi). 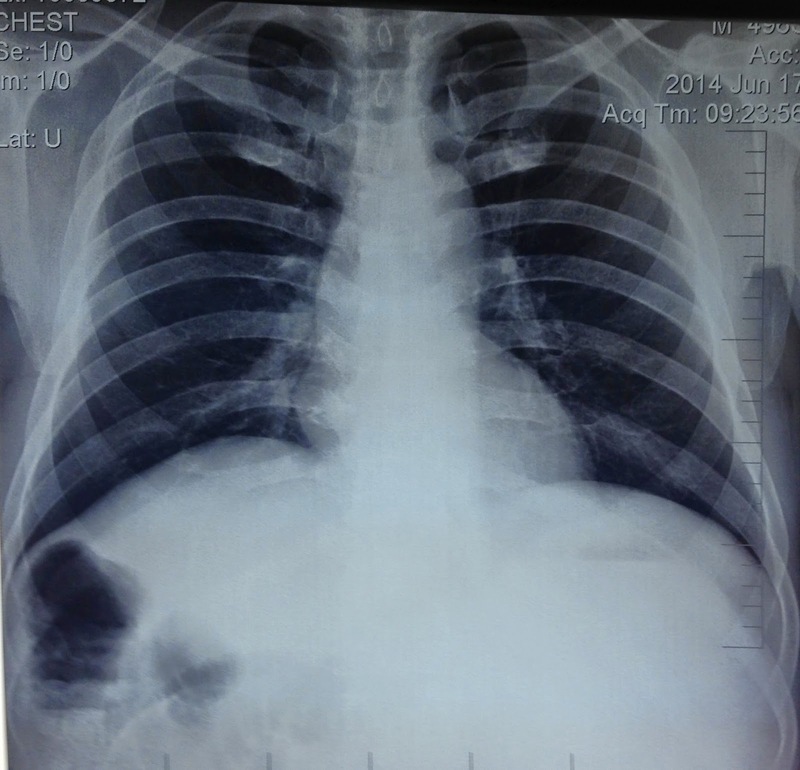 Woman 23 yo for one month cough and dyspnea, no fever. 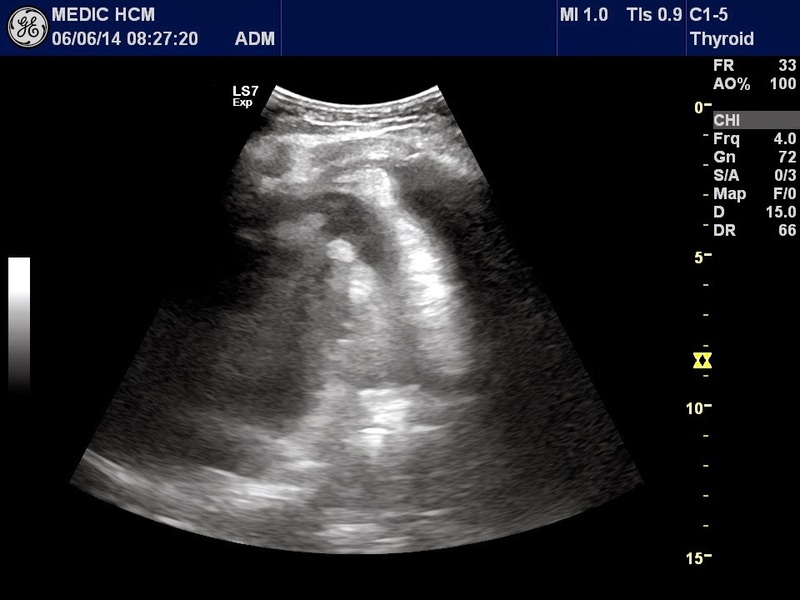 Ultrasound of the thorax detected left pleural effusion with collapsed lung and one mass covered anterior mediastinum to external pericardium (see 3 ultrasound pictures of the left lung). 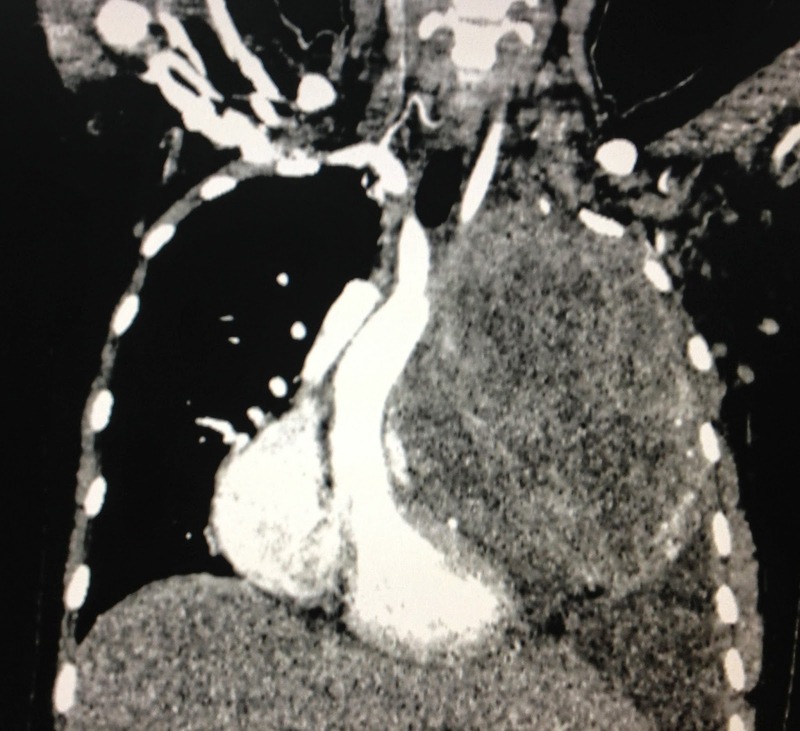 MSCT with CE of the chest confirmed a big mediastinal tumor with pleural effusion which displaced the heart to the right side (see 3 CT pictures). Blood test and all cancer markers were normal. Transthoracic biopsy of this tumor with ultrasound guided for immuno-histochemitry staining . 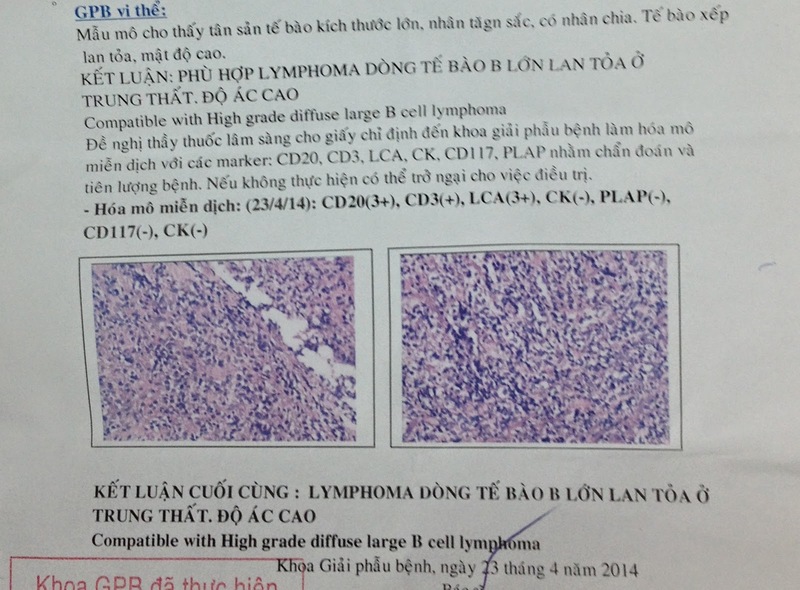 Pathology report is B CELL LYMPHOMA. 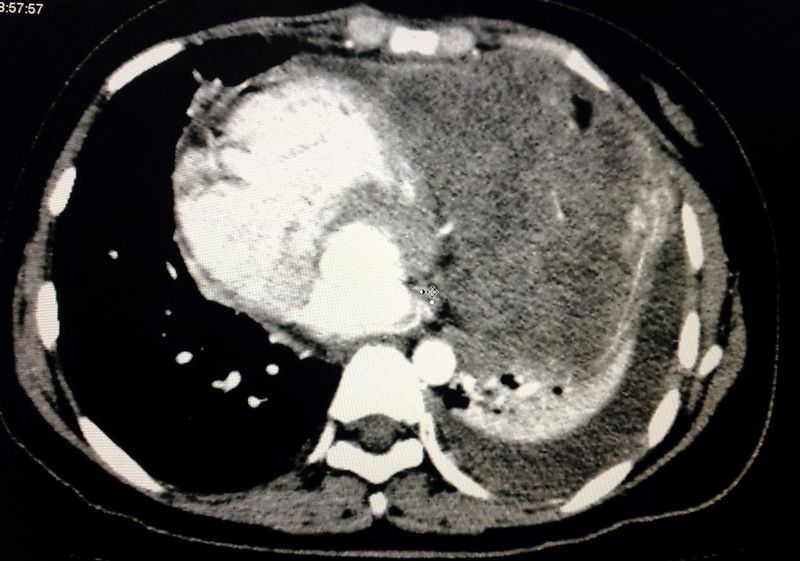 This patient is going to treat with chemotherapy.